23.22 acres of prime commercial land with great visibility from the Parks Hwy. Includes 3001 E. Sun Mountain Ave. Water, electric & gas are adjacent. Located between the Chrysler Jeep Dealership & Sears, close proximity to Walmart. Listing licensees are part owners. MSB recently changed the address to 3001 & 3201 E. Sun Mountain Ave. Directions:North on the Parks Hwy past Sears. 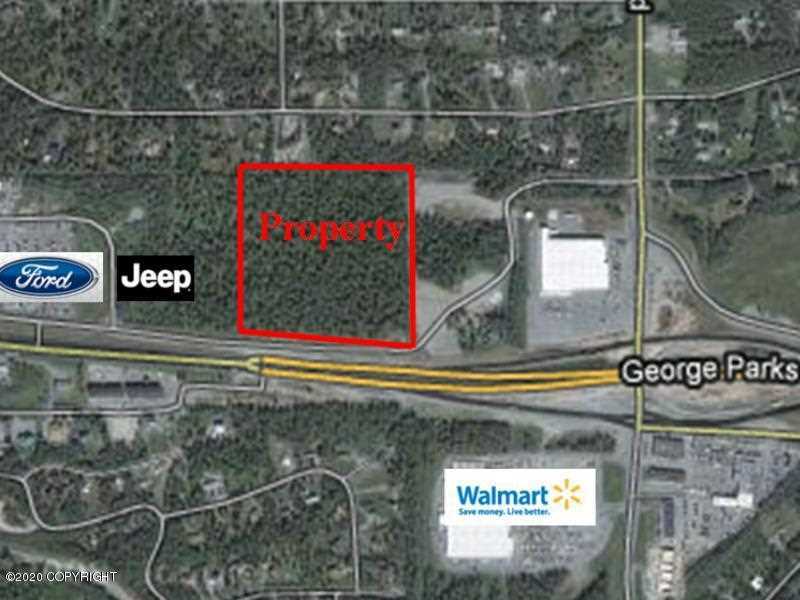 Property on your right adjacent to the Chrysler Jeep Dealership. Listing provided courtesy of Jack White Commercial. SchoolsClick map icons below to view information for schools near 3201 E Sun Mountain Avenue Wasilla, AK 99645. MLS # 15-14562: This property at 3201 E Sun Mountain Avenue, Wasilla, AK 99645 is located in the T17nr01ws12 D012-D013 subdivision and is listed for $5,058,000. MLS # 15-14562 has been on the market for 566 days.